This is a guest post by my friend Alexa from No Holding Back. She has suffered incredible loss, which has shaped her unique voice. A voice she uses to help other parents navigate their journey of grief after the loss of a child. Not content to just survive, she has thrived by seeking out platforms to make a difference in the lives of parents and children in America by focusing on prenatal and infancy care. My favorite line in this post is when she lets grieving moms know that they are always mothers. Thank you Ms. Alexa for contributing and making us aware of this opportunity to give. One of the common themes we share, whether our loss was an early miscarriages, late pregnancy, infant loss, or an older child, is that desire to make known that we will always be that child's mother. Whether we are mothering them in our arms or in our hearts. So... we created a non profit organization: Sunshine After the Storm, Inc. Through this organization we have already donated more than 50 books. This very special campaign is to raise enough money to donate 100 or more books to hospitals and bereavement groups for Mother's Day. You are always their mother. 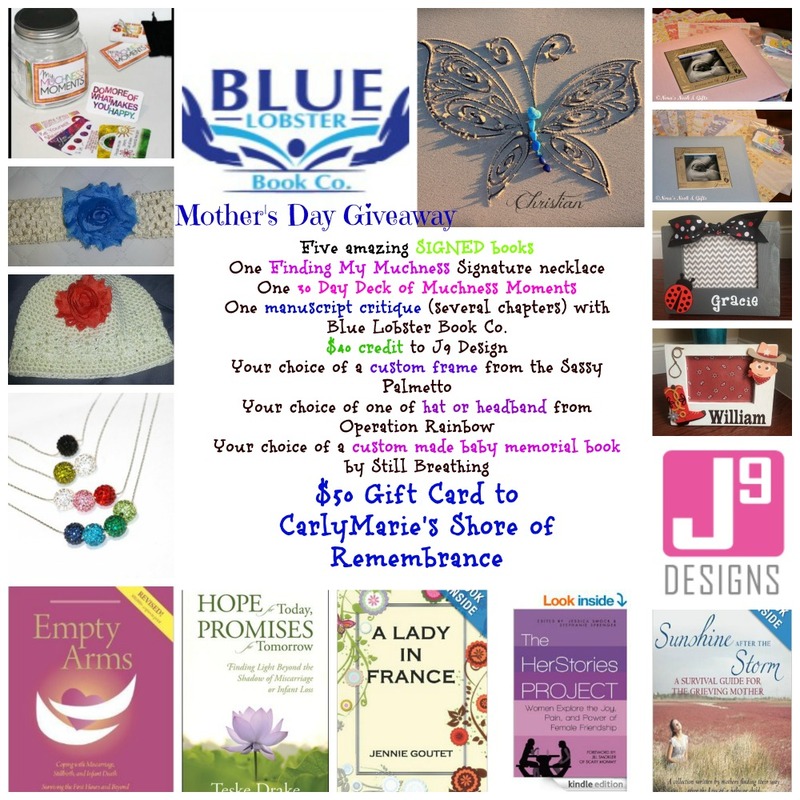 In honor of International Bereaved Mother's Day, which is May 4th, the Sunday before Mother's Day, we will draw winners for some amazing prizes that have been graciously donated for this cause. We invite everyone to participate in the Giveaway - you do not have to be a grieving parent, we just ask that you make a donation to the Campaign. There's only one thing you have to do to be entered into the drawing. Go and donate at least $5 to our fundraising campaign. Because after all, this is our Mother's Day Campaign, but we can't do it without your help!